British Columbia is a delight to visit on Canada’s west coast. 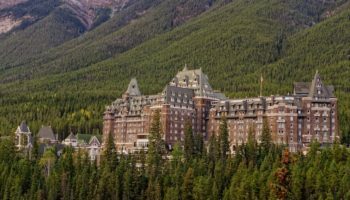 It stands between the Pacific Ocean and the Canadian Rockies, with lots of stunning scenery in-between. Whether you’re a skier, a hiker, a historian or a shopper, you’re sure to find plenty to do here. Arizona may have its Grand Canyon, but British Columbia’s Fraser Canyon is just as impressive in its own right. The views are stupendous from the highway, as the canyon rises 1,000 meters (3,300 feet) above the Fraser River. Fraser Canyon is actually a series of canyons, many of which have different names. At Boston Bar, you can take an air tram down to the river at Hell’s Gate with its fish ladders. As you drive the highway, you’ll pass through seven tunnels, one of which is one of the longest in North America. Take time to explore Hope, where the original Rambo movie, First Blood, was filmed. When William “Billy” Barker failed to find success in the California gold rush, he headed north to central British Columbia. After he struck it to rich there in 1862, the town that grew up near his claim was named after him. Today, you can relieve the glory days of British Columbia’s gold rush at Barkerville Historic Town. It’s now a historic park with 107 heritage buildings and 62 replicas, with activities for all ages. You can see women cooking over wood stoves, maybe even getting to sample the results; learn about gold field justice, visit museums and, of course, try your luck at panning for gold. Snow-covered mountains and sandy beaches meld like ham and eggs when it comes to Okanagan Valley, a year-round recreation destination in southern British Columbia. 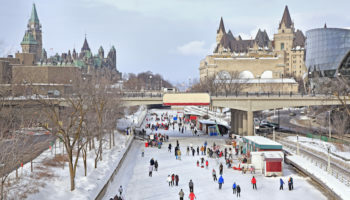 Despite mountains that offer great skiing, the Okanagan is one of the warmest regions in Canada and is frequently called the “Palm Springs of Canada.” Gorgeous scenery abounds, from Osoyoos on the U.S. border, north to Salmon Arm. In-between you’ll find several lakes; Okanagan Lake is the largest, with Kelowna, the valley’s largest city, on its shores. Highway 97 is a springtime treat with thousands of blossoming fruit trees. The Okanagan has a growing wine industry, with 82 percent of BC’s grapes grown here. Haida Gwaii is an archipelago of islands off the north coast of British Columbia. Once known as the Queen Charlotte Islands, they now take their name from the native Haida Indians. Graham and Moresby are the biggest islands, with about 150 smaller islands making up the archipelago. Haida Gwaii is a good place to see dugout canoes and huge totem poles; you may want to pick up some Haida-handcrafted jewelry. If you’re into the outdoors, Haida Gwaii is a good place to fish or hike in a national park. Pacific Rim National Park is a good place to visit in British Colombia to enjoy nature: rugged coastlines and lush rainforests. About 700,000 people find their way to one of its three sections – Long Beach, Broken Group and West Coast Trail – annually. Long Beach is accessible by car, Broken Group only by boat or ferry, and the West Coast Trail by both. The reserve is located on the west coast of Vancouver Island. Once there, you can camp, search tidal pools for signs of life, surf or hike the 74-km (46-mile) long West Coast Trail. You can also just hang out in gorgeous scenery. Nelson is a pretty city in southeastern British Columbia. It is sometimes called the “Queen City” because of the restored number of historic homes dating back to the days of the silver rush. Gold and silver were discovered here in the 1860s. Located on the West Arm of Kootenay Lake, Nelson’s Baker Street was refreshed to its former charm. The overhaul was so successful, that Steve Martin filmed Roxanne here. Today, walking Baker Street through the historic district is a top tourist attraction. Nelson also is a great base to explore the lakes, mountains and rivers of the surrounding area. 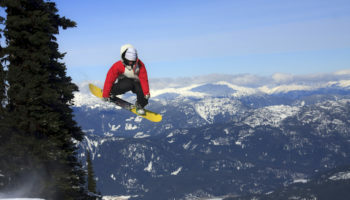 Whistler is the premier ski resort in British Columbia, with skiing so good it hosted the alpine and Nordic ski competitions for the 2010 Winter Olympics. 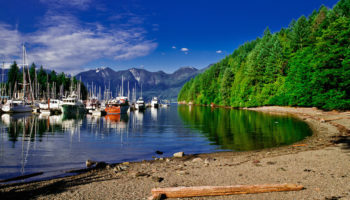 Located in the mountains 125 km (78 miles) north of Vancouver, this popular resort community attracts more than two million visitors annually. In the winter, they come for the skiing, and in the summer, it’s for mountain biking, hiking or ziplining. 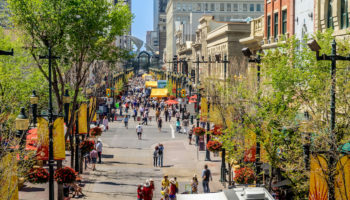 Any time of the year, however, is a good time to shop in unique boutiques, sample fine cuisine or nightlife, or enjoy a vibrant arts scene. Yoho National Park certainly lives up to its name. 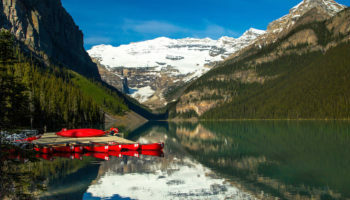 In the Cree language, Yoho means “awe and wonder.” You’ll be awed, too, when you see the stunning scenery in this small national park on the west side of the Canadian Rockies. 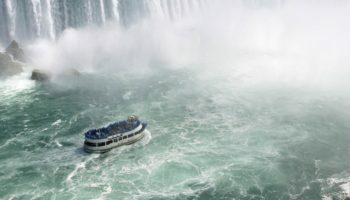 The park has 28 mountain peaks that soar at least 3,000 meters (9,800 feet) into the sky, too many waterfalls to count, and a world-famous 500,000-year-old fossil bed. Whether you’re a couch potato or an avid outdoorsman, you’ll find plenty to keep you busy at Yoho. Absorb nature from your campground, take a scenic drive or hike on 400 km (250 miles) of trails. 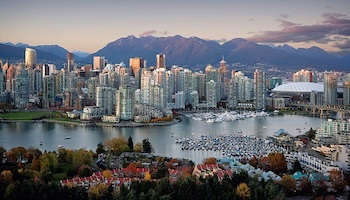 The seaport city of Vancouver is British Columbia’s largest city and the third largest metro area in Canada. 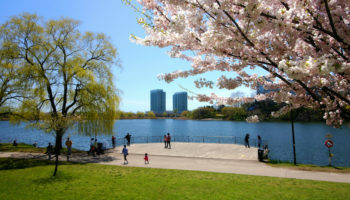 It’s a scenic cosmopolitan city where residents enjoy a high quality of life. 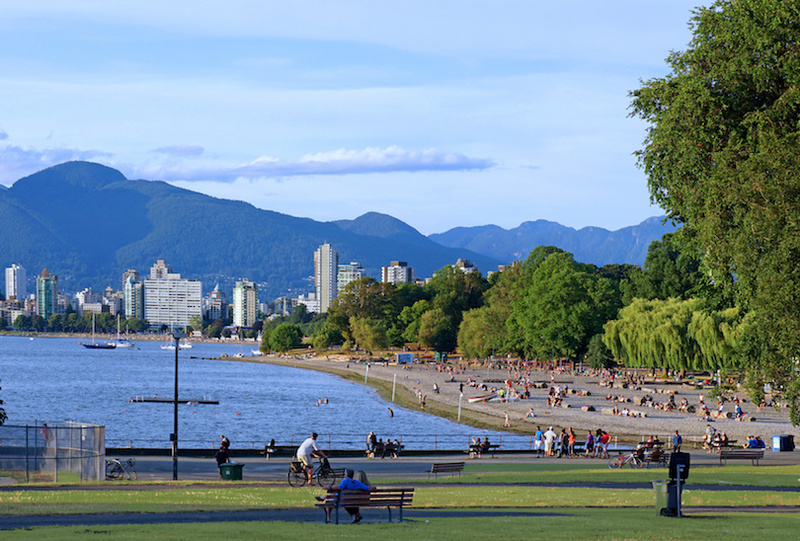 Dine on ethnic cuisine in the international district, explore the very beautiful forested Stanley Park and walk across Capialano Suspension Bridge. 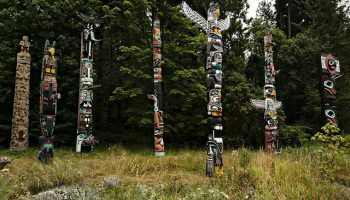 The Museum of Anthropology is a good place to learn about the First Nations, as Canada refers to its native peoples, and see giant totem poles carved and decorated by West Coast tribes. 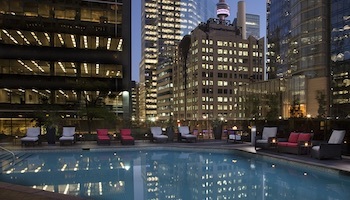 You can also take in the Granville Public Market or the Vancouver Aquarium.